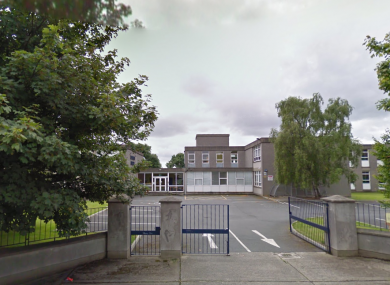 A ROW HAS developed between the Board of Management of a south Dublin school and the Catholic Church after the Christian Brothers decided to sell 7.5 acres of land valued at over €18 million. The Congregation of Christian Brothers (CCB), which owns the grounds of Clonkeen College in Deansgrange, is in advanced talks with local developers over the sale of the land, which encompasses a number of playing pitches. Parents and teachers say they only became aware of the talks last week. In a statement this afternoon, the ERST confirmed that it has been informed that the congregation plans to sell 7.5 acres of land to the rear of Clonkeen College to meet the €10 million cash installment of the congregation’s agreed voluntary financial contribution to the State. The €10 million is being handed over to the State as part of the redress scheme for institutional sexual abuse. The Board of Management of the secondary school said that €450,000 of its own money had been spent on the playing pitches in the last four years. A member of the management board, who spoke on condition of anonymity, said: “What’s happening is that they’re selling off two-thirds of the playing fields and lands and the problem is they are doing so without talking to the Board of Management or teachers or parents of pupils. However, even though they are being handed the pitches, if they are sold in the future, the school 50% of the fee. It is understood that the Minister for Education and Skills, Richard Bruton, is aware of both elements of the congregation’s proposal. A spokesman for the ERST said: “Under the proposal, the congregation will transfer the playing fields attached to the schools to the Edmund Rice Schools Trust, who will hold the playing fields in trust for the schools. The decision to sell this land has been taken solely by the congregation of Christian Brothers. The ERST Board of Directors has always been clear that this decision is the responsibility of the congregation. ERST does not own the land in question. It was not ERST’s choice or decision to sell it. Email “Parents outraged at Christian Brothers' decision to sell Dublin school's playing pitches”. Feedback on “Parents outraged at Christian Brothers' decision to sell Dublin school's playing pitches”.